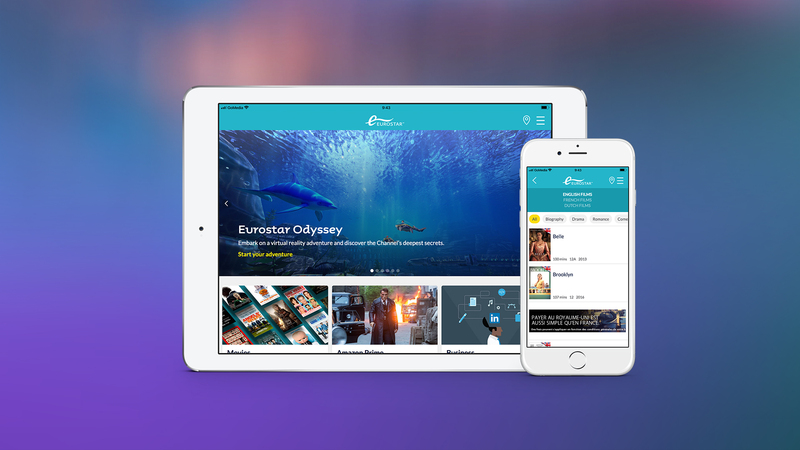 We are delighted to be launching a major update across Eurostar’s onboard entertainment platform, delivering cross-Channel passengers an even more enjoyable experience as they travel. The update will introduce a new and improved user interface, Amazon Prime Video including Goliath, Transparent and The Marvelous Mrs Maisel, as well as hit movies including Dunkirk, Sherlock Holmes, and Fantastic Beasts and Where to Find Them. – all movies are in English, French and Dutch. We worked closely with onboard connectivity expert Nomad Digital to launch our service on Eurostar in 2016, making the operator our longest-serving customer. This is the second major update to the service after launching Odyssey, the UK rail industry’s first ever onboard virtual reality experience, in 2017, enabling passengers to explore an underwater world as they travel through the Channel Tunnel. All content is protected through GoMedia's Digital Rights Management (DRM) solution, leaving production studios safe in the knowledge that their content is secure.